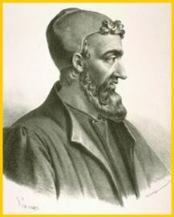 Next to Hippocrates, Galen is regarded as the most important physician of antiquity. For over a thousand years his writings were considered authoritative by Greek, Roman, and Arab physicians alike. In ancient times the liver was thought to be the seat of the soul, and Galen gave it the central role in the function of the body - the organ which took food from the gut and transformed it into blood. "Now, why is the stomach surrounded by the liver? Is it in order that the liver may warm it and it may in turn warm the food? This is indeed the very reason why it is closely clasped by the lobes of the liver, as if by fingers." It was not until the 17th century that the teachings of the ancient Greeks concerning the liver were questioned. 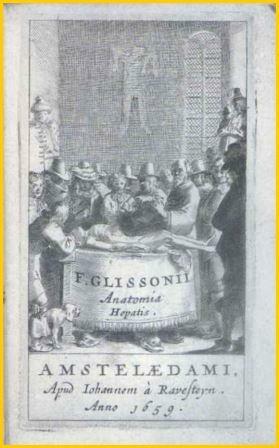 The English physician Francis Glisson published the first book devoted exclusively to the anatomy of the liver. Glisson used advanced methods such as the injection of coloured liquids and casts which enabled him to illustrate the vessels of the liver. It gives the first accurate description of the capsule of the liver (Glisson's capsule), its blood supply, and the sphincter of the bile duct (Glisson's sphincter). 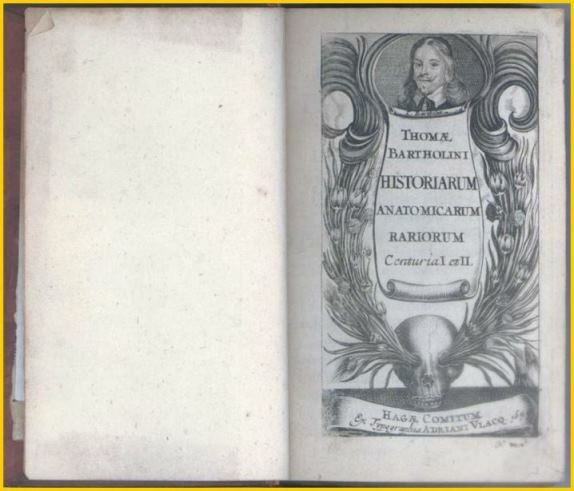 Marcello Malpighi is regarded as the founder of microscopic anatomy. He was the first to use a microscope to study the liver, and to accurately describe its glandular components. These observations, along with William Harvey’s discovery of the greater circulation of the blood, dethroned the liver as the principle organ in the human body. 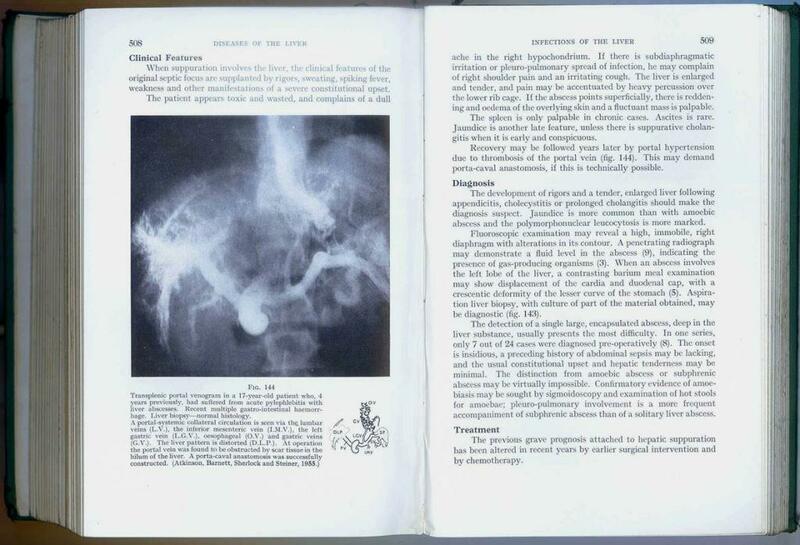 Little progress was made in understanding the physiology of the liver until the 19th century. Friedrich Frerichs was Professor of Pathology at Berlin. 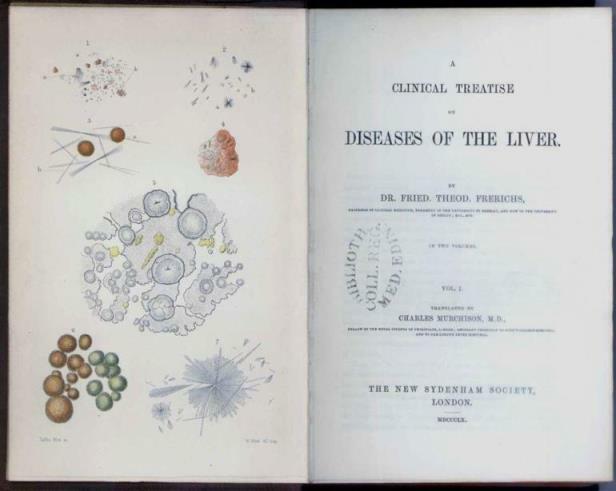 His classic work on the diseases of the liver summarised the knowledge of the time and included his own important studies on the subject. He discovered leucine and tyrosine in the liver in acute yellow atrophy, a condition to which he devoted much study. Sheila Sherlock was the first woman in the United Kingdom to be appointed a professor of medicine, and for decades was the world's foremost hepatologist. The first edition of her classic work on diseases of the liver was published in 1955, and since then has been translated into at least six other languages. The 11th edition was published just two weeks before her death in December 2001. Follow our Twitter account @RCPEHeritage to get notifications of new blog posts.